Samsung Galaxy S10 Selfie Camera to Arrive with OIS and 4K Video Recording - Playfuldroid! The Samsung Galaxy S10 is debuting on Feb. 20 along with the advanced Galaxy S10+ and the entry-level Galaxy S10e. Recent leaks have revealed a lot of information on their specs, features, design and pricing. The Chinese media are now claiming that the Galaxy S10 would be coming with a marvelous selfie camera that will not only carry support for autofocus like the predecessor model, but also it will be equipped with some added features like OIS and 4K video shooting. When it comes 4K shooting, the leak reveals that the S10 will be able to record it at 60 fps. 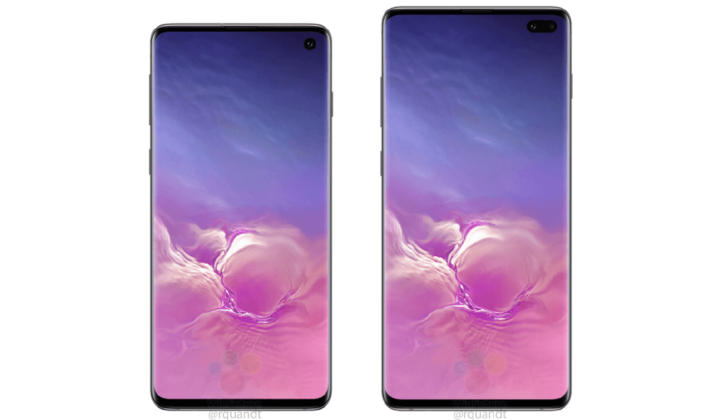 Recent leaks have revealed that the Galaxy S10 and Galaxy S10+ will be equipped with Infinity-O display design. A pill-shaped cutout is available on the top-right corner on the display of the Galaxy S10+. It is expected to house dual selfie snappers. Fresh leak reveals that it could be equipped with a 10-megapixel sensor and an 8-megapixel sensor. The support for OIS and 4K video shooting is also expected to be available on the Galaxy S10+. On the other side, the Galaxy S10 may feature a cutout for 10-megapixel or 8-megapixel front-facing camera. The Galaxy S10 and Galaxy S10+ are fitted with triple rear-mounted cameras. It is expected to include a 12-megapixel primary sensor with variable aperture between f/1.5 and f/2.4. With improved DRAM, the smartphone is expected to offer better photography experience in low-light conditions. The triple camera setup is expected to include an f/1.9 aperture 16-megapixel super wide-angle lens with field of view of 123 degrees. A 13-megapixel telephoto lens with f/2.4 aperture could be the third camera sensor on S10 and S10+.